After being called to the Bar in 2005, Barjinder (Bobby) Kalsi began his career in insurance defense litigation working for insurance companies defending personal injury claims. Subsequently, Bobby spent years working in corporate finance, M&A and capital markets where he represented some of the largest and most reputable companies in the world. He has since re-dedicated his career to helping accident victims receive compensation for their injuries. Currently, Bobby practices in all areas of motor vehicle accident law, occupiers' liability and long-term/short-term disability litigation. He specializes in cases that have reached advanced stages of litigation and/or FSCO arbitrations. In addition to completing his LL.B. from the University of Western Ontario, Bobby also completed his MBA from the University of Toronto. He is a member of the Law Society of Upper Canada and the Ontario Trial Lawyers Association. Bobby is a big sports fan and spends his free time playing soccer and golf. Advocates’ Society and Volunteer Lawyers Services Thomas joined the firm as an associate in 2013. Prior to joining BK Personal Injury Law, now operating as Kalsi & Associates, he spent considerable time clerking for the Ministry of the Attorney General in their civil litigation department. He followed suit by completing his articles with a prominent Peel Region litigation firm. Thomas graduated from York University with a B.A. in Political Science before going on to earn his LL.B. from the University of Southampton in 2009. Thomas’ practice is focused in civil litigation in the areas of personal injury, accident benefits, occupiers’ liability, and negligence. He is a member of the Law Society of Upper Canada, the Canadian Bar Association, and the Ontario Bar Association. In his leisure hours, Thomas is a keen sportsman and can often be found on the ski hills and ice rinks of Southern Ontario. 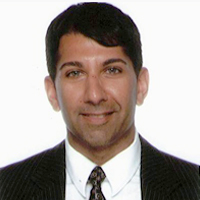 Yousef proudly joined BK Personal Injury Law, now operating as Kalsi & Associates, as an associate in April 2013. 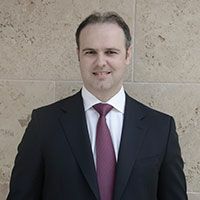 Prior to that, and following his call to the Bar in 2007, Yousef worked as an associate with a specialized commercial litigation lawyer in Toronto and practiced personal injury law at a downtown firm. He gained extensive experience in the areas of civil and commercial litigation, and successfully represented his clients in all facets of personal injury law, including motor vehicle accidents, slip and falls, and accident benefits claims. Throughout his legal career, Yousef has appeared before all levels of the Ontario Courts. 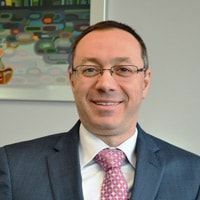 He has successfully appeared before the Ontario Court of Appeal, conducted trials and motions before the Superior Court of Justice, and performed arbitrations before the Financial Services Commission of Ontario. Yousef graduated with Honours from the LL.B. program at the University of Sheffield, England. He was called to the Israel Bar where he practiced personal injury law before moving to Canada. Prior to attending law school, Yousef managed a profitable family business. In his spare time, Yousef enjoys spending time with his wife and three young daughters, playing soccer, and watching sports. PHONE: (905) 595-2855 EMAIL: Click to display the email maryam@kalsilaw.com Maryam Elias completed her Paralegal Program from Sheridan College. Upon Graduation she began working in immigration law as an assistant to an immigration consultant in Toronto. Maryam has been licensed since 2010. Upon obtaining her paralegal license she litigated for plaintiffs in Small Claims Court. She has considerable experience as a Paralegal as she has appeared before the Small Claims Court and several tribunals across Ontario. Maryam started working for Kalsi & Associated in January of 2014 as a licensed paralegal. She possesses a great deal of experience dealing with all aspects of personal injury claims. She has extensive knowledge dealing with Accident Benefits (Auto Insurance) and Tort claims arising out of Personal Injuries caused to innocent parties. Maryam has assisted various Lawyers with the oversight, management, administration and decision making involved in running Client's files in a fast paced personal injury litigation practice. Maryam currently practices in the area of client consultations, file management and Accident Benefits. She continues to assist Clients with questions and/or concerns that arise from a personal injury incident. ‎She has gained the ability to effectively manage many personal injury claims and has acquired excellent people skills, customer service orientation and office management abilities. Mariya graduated from Osgoode Hall Law School with a Master of Laws (LL.M.) and Juris Doctor (J.D.). During her time at Osgoode, Mariya served as a senior caseworker for the Osgoode Business Clinic and the Osgoode Mediation Clinic. She acted as a mediator, successfully helping to settle numerous Small Claims Court disputes. Mariya was an active member of Pro Bono Students Canada, assisting unrepresented litigants with family law matters. Mariya joined Kalsi& Associates in 2014, Mariya has gained significant exposure to complex personal injury law matters. She has appeared before the Ontario Superior Court of Justice and has conducted numerous examinations for discovery.Mariya's practice primarily focuses on assisting people who were injured as a result of motor vehicle accidents and slip and falls. Tanjoyt is a graduate of the University of Leicester, obtaining her LL.B. with First Class Honors in 2012. During her time at law school, she was a passionate advocate for victims of human trafficking and child abuse, raising awareness through various on campus initiatives. Moreover, Tanjoyt was heavily involved in numerous mooting competitions during her studies. In 2015, Tanjoyt was called to the Ontario Bar. Prior to joining Kalsi & Associates, she clerked, articled and practiced at a prominent law firm in Toronto, specializing in personal injury law. Since entering the personal injury industry in 2012, Tanjoyt has supported senior counsel with complex and catastrophic personal injury claims. Her commitment to being a staunch advocate for her clients is driven by a fundamental belief in the importance of law as a tool for justice and righteousness and the need for it to be applied equitably. Tanjoyt is an active member of the legal community, belonging to the Law Society of Upper Canada, The Ontario Trial Lawyers Associates, The Advocates' Society, The Canadian Bar Association, The Toronto Lawyers Association and The Peel Lawyers Association. Alim graduated from the University of Windsor in 2006 and obtained a Bachelors of Arts Honours degree in Criminology. He obtained his Juris Doctor (J.D.) law degree from Bond University in Queensland, Australia in 2009. 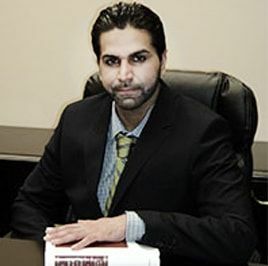 Alim was called to the bar in 2012 and has experience appearing before the Ontario Superior Court of Justice, the Financial Services Commission of Ontario, Small Claims Court, and the Divisional Court. Alim is a passionate advocate for victims who have suffered a personal injury and is empathetic to his clients' needs. He is very dedicated and works tirelessly to maximize his clients' claims. Alim is known for being very accessible to his clients and his clients are the primary focus of his attention. Alim is a proud member of the Law Society of Upper Canada. During his spare time, Alim enjoys travelling, sports, spending time with his loved ones, and working out. PHONE: (905) 595-2855 EMAIL: Click to display the email linda@kalsilaw.com Linda graduated from Humber College with a Bachelor of Applied Arts in Paralegal Studies. Prior to that, she completed her studies with a Bachelor of Arts in History at York University. She became a Licensed Paralegal in 2012 with the Law Society of Upper Canada. 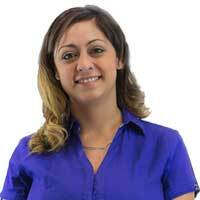 She proudly joined Kalsi & Associates in January of 2014. Prior to that she worked at other reputable law firms, where she gain valuable work experience in civil litigation. Linda has extensive knowledge in dealing with personal injury law. She currently practices as a Licensed Paralegal in Accident Benefits. Linda is passionate about advocating for her clients to ensure they receive the necessary medical support and the maximum compensation in the process of their recovery. In her free time, she enjoys spending time with her family and friends. PHONE: (905) 595-2855 EMAIL: Click to display the email kim@kalsilaw.com Kim Mohammed-Sieudhan was born in Trinidad & Tobago and has spent most of her life establishing her career in the legal field. From 2005 to 2013, Kim was employed at an immigration and corporate law firm. At this firm, she connected her passion for legal education and experience with her desire to help millions of immigrants pursue their dream. Having witnessed firsthand the struggles which many people face in trying to gain access to justice, Kim decided to further her education in Ontario, Canada, in order to expand her legal knowledge in many different areas of law. In June 2014, Kim was awarded the Prosecutor’s Association of Ontario Award for exemplifying the ethics and ideals of justice, while demonstrating excellence in advocacy. Kim is a member of the Women’s Paralegal Association of Ontario and the Paralegal Society of Ontario. 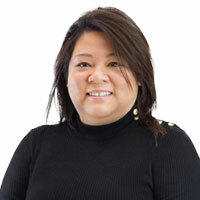 In September 2014 Kim received her Ontario College Diploma in Paralegal with High Honours from Sheridan College Institute of Technology and Advanced Learning located in Brampton, Ontario and later became licensed by the Law Society of Ontario. Kim has been employed at Kalsi & Associates, since 2014 in the personal injury practice, working on accident benefits cases, motor vehicle accidents, and slip and fall claims. She dedicates herself to each file, from the initial assignment to settlement or trial. In her personal life, Kim enjoys spending time with her family, reading, writing, cooking and finding solutions to everyday problems. With her strong belief that hard work, dedication, and determination will not only bring success but ensure it; Kim’s goal is to continue developing her legal education and experience while helping clients gain access to justice. PHONE: (905) 595-2855 EMAIL: Click to display the email amy@kalsilaw.com Amy has been a part of Kalsi & Associates since its inception. She graduated from Bond University, obtaining her Juris Doctor with Distinction, in 2016. During her time in law school she actively participated in commercial and criminal law clinics. She clerked and articled with Kalsi & Associates before being called to the bar in 2018. She is an active member of the legal community as a member of the Law Society of Ontario and Ontario Trial Lawyers Association. She is a committed advocate whose practice is focussed in litigating personal injury claims, accident benefits claims, tort claims, slip and falls, occupiers’ liability, product liability and negligence. She has appeared before the Superior Court of Justice and Tribunals to advocate for her clients. Besides fighting for her clients’ cause, she enjoys staying fit, reading and spending time with her friends and family. PHONE: (905) 595-2855 EMAIL: Click to display the email diana@kalsilaw.com Diana holds a J.D from University of Windsor and an LL.M from Osgood Hall Law School. During her time at University of Windsor, Diana worked as a research assistant for an Alternative Dispute Resolution course, acted as a peer mentor, and as a President of a Windsor Law Tennis Club. In her last semester of law school, Diana clerked at Ontario Court of Justice. As a law clerk, she conducted research and drafted memoranda, attended trials, motions, case settlement and trial management conferences. Diana was a summer student at Kalsi & Associates before joining the firm as an articling student. She worked on a number of cases involving complex legal issues. Through her work at Kalsi & Associates, Diana has developed a client-centered approach and is dedicated to looking after the needs of the client. In her spare time, Diana loves to travel, spend time with family and friends, and play tennis.